Brace your taste buds (and your wallets), because a slew of new restaurants are opening their doors. January is proving to a be a busy month for Austin's food scene, with new locations of a few of our favorite eateries and trailers now open (or opening soon). Chi'Lantro is now accepting hungry customers at its first brick-and-mortar location on South Lamar. The grand opening is slated for Monday, January 19, but the Korean barbecue fusion masters announced a soft opening on Friday. The restaurant menu expands on delicious offerings from the original food truck (think famous kimchi fries), including Korean fired chicken wings (or K-pops), kimchi fried rice balls and sweet curro tots. Another trailer-turned-restaurant success, Lucky's Puccias & Pizzeria is now open on West Fifth Street. Known for Italian-inspired sandwiches (puccias), the brick-and-mortar serves up a variety of pizzas and a few adult beverage options too. Lunch at Lucky's will start on Monday, January 19. Smoothie junkies will be happy to know that JuiceLand's newest hangout at the intersection Martin Luther King Jr. Boulevard and Chicon Street is now open. The juicy chain, which took over the choice east side spot after The Wet Whistle closed last fall, will be serving yummy concoctions and healthy fare. Fuzzy's Taco Shop (a.k.a. the Torchy's of Fort Worth) opened its third Austin location in the Crestview neighborhood at MidTown Commons this week. 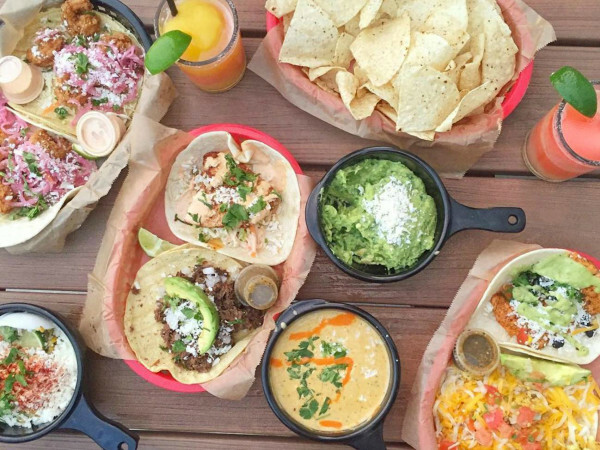 North Austinites can now easily get their fix of baja tacos and jumbo burritos (in addition to full bar service with frozen margaritas and local brews). The Fuzzy's on The Drag is slated to reopen at the end of this month after the scheduled remodeling is completed. And finally, the wait is almost over for Ramen Tatsu-ya's South Austin location. On Thursday, owners shared more pictures of the progress, promising "kitchen views and outside tunes" when the spot opens on Sunday, January 25.